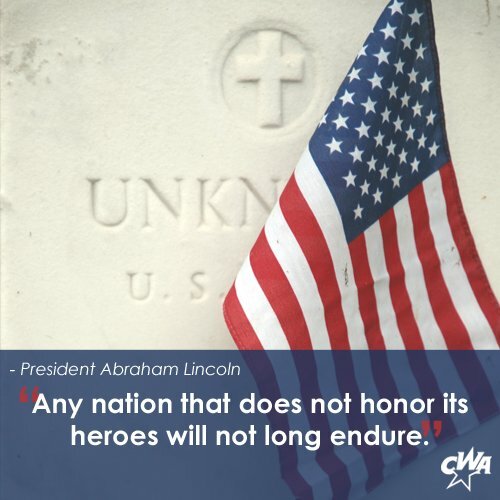 All gave some… Some gave all. 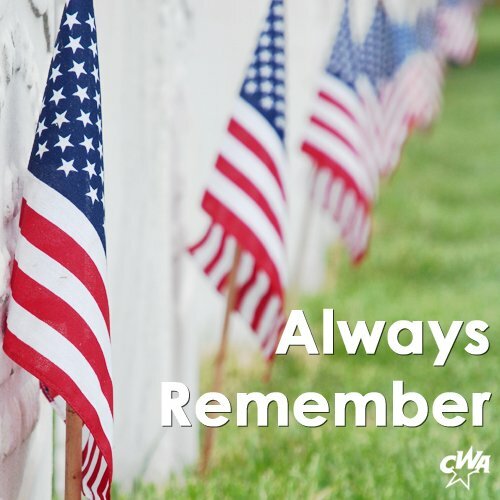 Join CWA as we remember those who have died defending our country and our freedoms. Let us pause to remember: With blood was our freedom bought, and with blood it is kept. Heroes one and all. May we never forget. Don’t forget to thank all of the men and women we currently have serving in the Armed Forces. We’ve included two graphics below for you to share on Facebook to show your gratitude.